New Delhi: In an attempt by the Congress to woo the poor and the under privileged sections of society ahead of the Lok Sabha elections, party president Rahul Gandhi on Monday assured Rs. 72,000 a year for 20 percent of country''s most poor families, if the party comes to power in 2019 Lok Sabha polls. 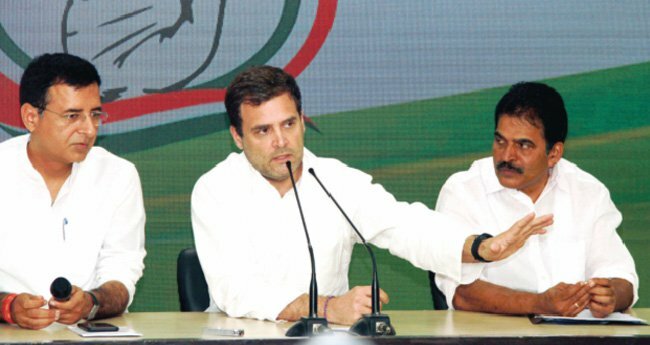 Addressing a press conference , Rahul said,'''' ''''under the Minimum income guarantee, Congress will give Rs 72,000 per annum to the the poorest 20 per cent families if they come to power.'''' The scheme, will ensure a family has a minimum income of Rs, 12,000 in a month. Calling it a ''pathbreaking scheme'' , a ''ground-breaking idea, and ''final assault on poverty'', the Congress president said,''''It is a historic scheme and an ''extremely powerful, dynamic, well thought-through '' idea. It is not acceptable to the Congress that there is poverty in India in the 21st century. This is the final assault on poverty. There is no such scheme anywhere else in the world.'''' Asked if the scheme was ''viable'', Rahul said,'''' all calculations have been done. We have been studying the scheme for four-five months and consulted with economists etc. It is fiscally possible. We committed to the MGNREGA, we delivered MGNREGA and lifted 14 crore people out of poverty.. Now Congress party will lift 25 crore people out of poverty. We will ensure that poverty is eradicate from country.'''' He said that money will be transferred directly to the bank accounts, adding ?five crore families and 25 crore people will directly benefit from this scheme?. Lashing out at the Modi Government, the Congress President alleged that the people have been suffering for the last five years. 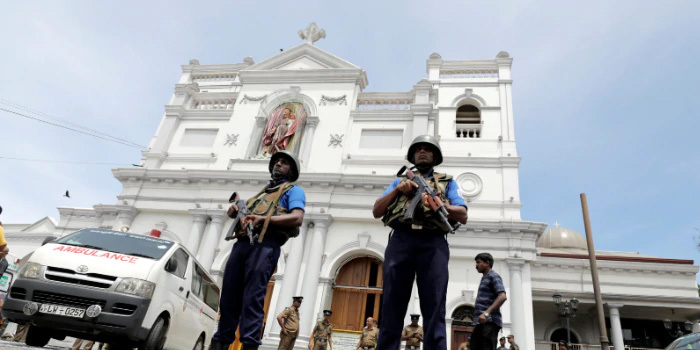 ''''For the past 5 years the citizens of the nation had to go through a lot of hardships. So, the Congress party has decided to give justice to the poor people of the country. I want the poor to be respected in the country,''''he said. Taking on th Modi government, the Congress president said that Mr Narendra Modi is creating two Indias, one is for rich people and another for poor people . ?The Congress is for one India . We feel that there should be no poverty in the 21st century. So we decided to give money to poor people?, Mr Gandhi added. 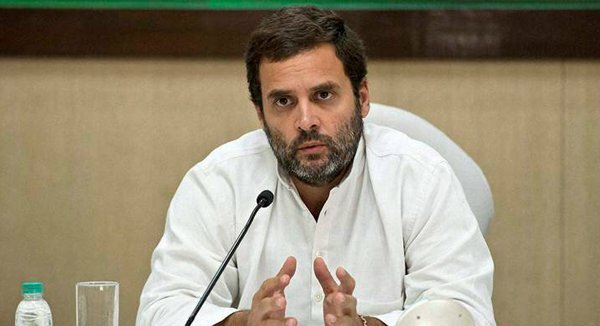 : New Delhi, mar 25 (UNI) Lashing out the Modi Government, Congress President Rahul Gandhi on Monday alleged that the people have been suffering for the last five years and now we will give justice to the poor by this ''Minimum Income Guarantee Scheme'' which will be first of its kind in the world. Hitting the Modi-led NDA Government, Mr Gandhi said ?If Modi ji can give money to rich people why can''t we give to poorest of poor. Elaborating the scheme, he said that it is phase wise scheme and first the pilot project will be run and then it would be launched across the country. ?This is a fiscal prudent scheme and we have consulted with all top economists of the world and we are sure that the we will eliminate poverty forever from this country?, Congress President said. Replying a question that people will be getting money without any job, Rahul said that everyone is working and suppose one is earning Rs six thousand per annum, then his income will be topped with Rs six thousand so that he or she will have the minimum guarantee income of Rs 12 thousand per year. The meeting of the CWC, held at the AICC headquarters, gave a final shape to the party manifesto for the Lok Sabha polls, to be held in seven phases.